Raline Louise Stepney departed this earth and began her journey with God April 10, 2019. She was born to Albert Williams and the late Doris E. Duvell on March 25, 1945 in Annapolis, Maryland. Raline attended Bates High School in Annapolis, MD. She retired from Crownsville State Hospital after 20 years of service. She then relocated to Sanford, NC in 2005. She loved her ice water and wanted anyone that came around to scratch her scalp. She was known for Sunday dinner "Every Sunday." She also adored her grandchildren. Everyone she came in contact with gravitated to her. She loved telling funny stories. 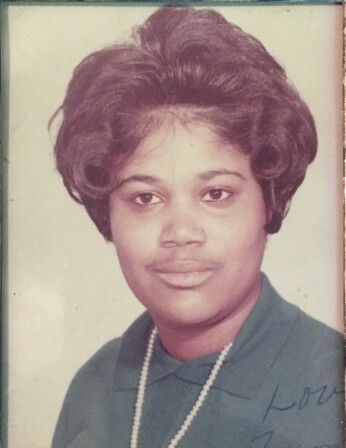 She leaves to cherish her memories, her husband, Harry Stepney Sr.; three children, Harry Stepney Jr., Daniel Stepney and Malissa Stepney; four sisters and three brothers: Cassandra Eules, Blanche Williams-Piersawl, Evonne Williams, Beverly Williams, Darrell Williams, Wendell Williams and Rondell Williams; one daughter-in-law, Kendra Stepney and five grandchildren, Shardae Stepney, Da'Yon Jones, Hannah Stepney, DeWarren Dailey, and Khalia Cox and a host of family and friends .